I made my first close up video of Dusty eating a piece of apple. It's one of the few ways I can get Dusty to come up to me and stay at the same spot for a short time. Anyone who has seen dusty told me that they had never seen a bun like this, so I thought I'll upload a short video clip. People usually told me that they thought he was a small dog or cat at first. What do you think? Cabbit? He is actually a Lionhead. 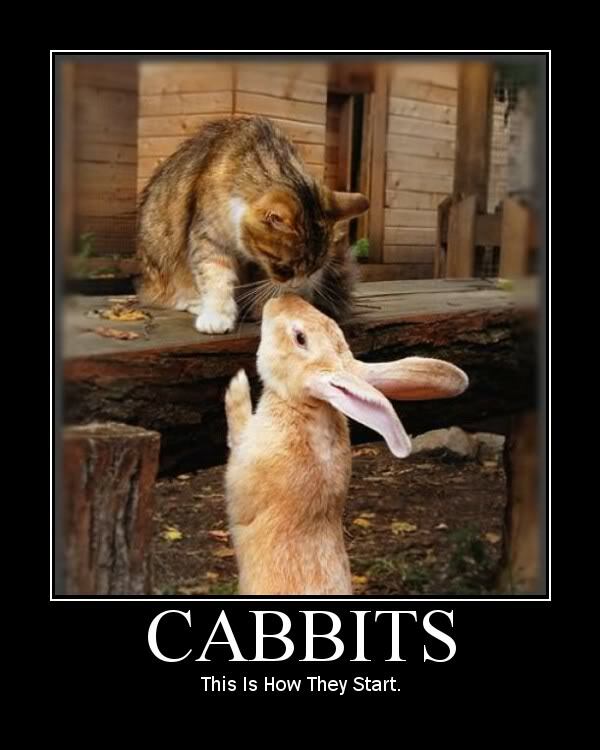 That's pretty close to a Cabbit, isn't it? Some people totally groom their Lionhead buns to look like little lion stuffed animals, see http://lionheadrabbit.net/. I let Dusty go freestyle, but a few days ago I had to cut off some of his hair because it was all matted above his little tail.